5 cent - 10 cent - 25 cent round - 25 cent square - 50 cent - 100 cent - 250 cent - 500 cent. The SMN was taken over by Nedlloyd and in their archives were still these jetons. I offer these now to you in complete sets. There are only a limited number of sets available. Have you been on board on one of the vessels to Indonesia, Australia or Singapore? Or maybe one of your parents? On board these pennies were the legal tender and they are a nice memory to that long boattrip. These coins are in circulated condition. 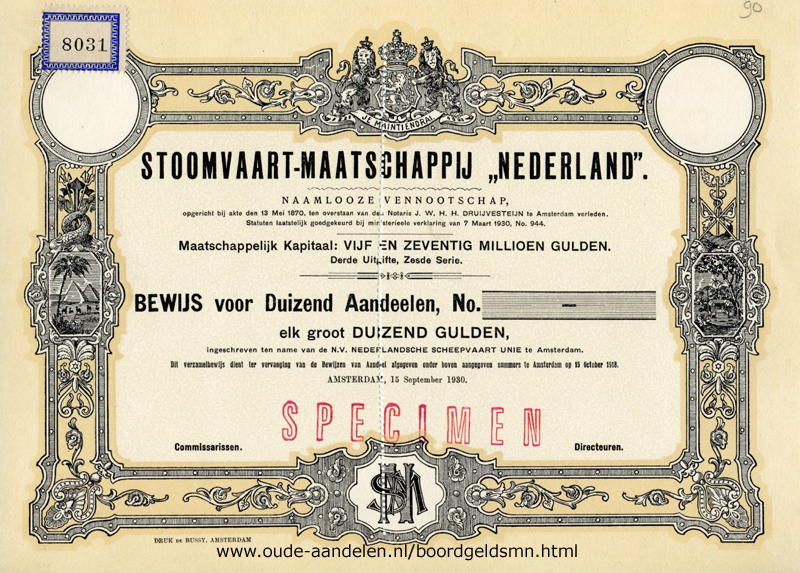 There is an article in Dutch language about this shipmoney. 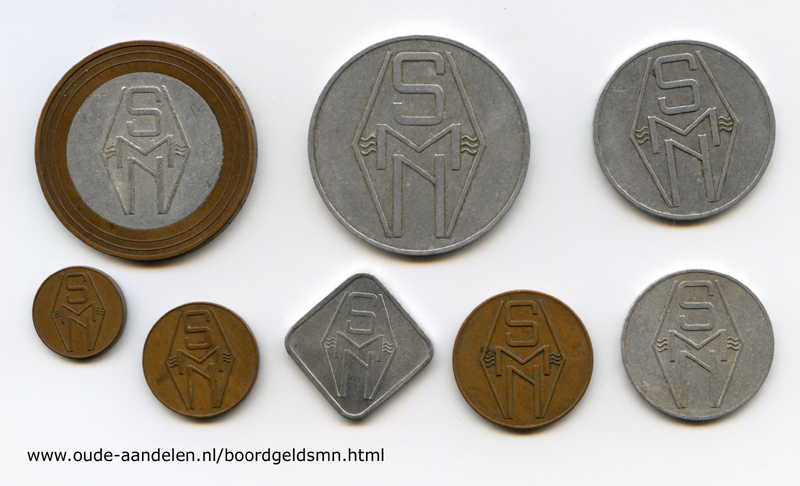 Besides this set of 8 coins you will receive a reprint (10 X 15 cm) of an old stock-certificate of the SMN. 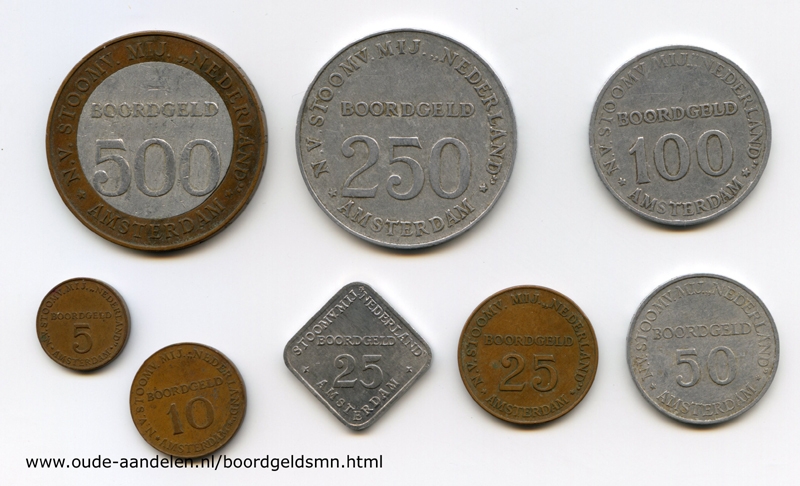 The 500 cent is the first Dutch bi-metalic coin. The second one is the euro, minted 53 years later. Shipment is free within The Netherlands. Please ask for shipment to other countries.